MEDLARS I, as described in my previous post, was a great step forward in providing access to bibliographic data and facilitating biomedical research, nationally and internationally. However, by the mid-1960’s, customer demand for MEDLARS I services was far outstripping capacity. Planning a next-generation MEDLARS II began in 1966. MEDLARS II and MEDLINE are now synonymous, but that was not always the case. MEDLINE is an abbreviation for MEDLARS Online, but MEDLARS II was not initially designed to be an online search system. At first, it was intended to be an improved version of the decentralized batch processing system that MEDLARS I employed. By implementing an online, interactive search system rather than a batch processing system, NLM empowered users to interact directly with the computer, and reconceptualized how computerized search could be done in a library. Three separate projects led to this service evolution and the creation of MEDLINE as it was implemented: the initial proposed design for MEDLARS II, the State University of New York (SUNY) Biomedical Communications Network in 1968, and AIM-TWX, an experimental project at NLM that established interactive search of the Abridged Index Medicus (AIM). The initial proposed design for MEDLARS II followed the model of MEDLARS I, as noted in the design specifications created by the Auerbach Corporation, under contract at NLM. The initial design proposed a faster batch processing computer in order to minimize search times. This computer would rely on the same model established for MEDLARS I and would not provide for online or instantaneous searching of citation data. However, before this design could be fully realized or implemented, NLM Director Martin M. Cummings, commissioned the Systems Development Corporation (SDC) in Santa Monica, CA to create a MEDLARS II that could provide for online search and, thus, MEDLINE was born. The SUNY Biomedical Communications Network and AIM-TWX were important models for MEDLINE. These two projects allowed for interactive, online search of biomedical information, which shortened search times to minutes instead of weeks. More than simply improving the efficiency of the MEDLARS I batch-processing system, these projects relied on an entirely new model and helped change what computerized bibliographic search could mean. The SUNY and AIM-TWX projects themselves built on earlier work with computerized communication that paved the way for this reconceptualization. Networked computing existed far before the creation of the Internet, which is itself a network of previously existent computer networks. As early as 1933, Telex used teleprinters to deliver messages in Nazi Germany. Unlike telegraphs, Telex used less expensive phone lines to communicate. Rather than relying on a point-to-point communication, Telex was a network of teleprinters that aided in communication. However, it was another thirty years until this networked-style of communications was applied to computers with the advent of time-sharing computers. Time-sharing computers allowed multiple people to use a computer via individual terminals. It was a much faster system than batch-processing computers and allowed for remote access to computing resources. In the early years, these types of computers were most frequently used in military and academic settings. 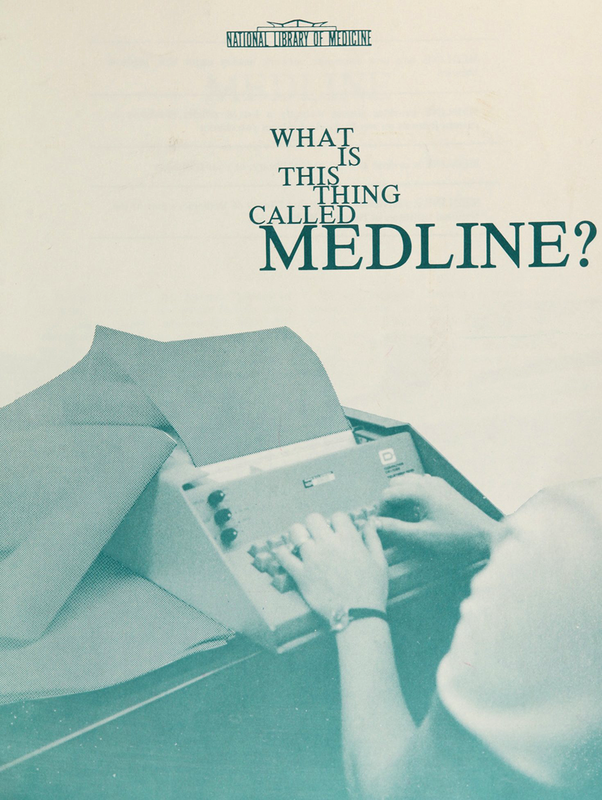 MEDLINE, as it existed in the 1970s, relied on a time-sharing computer. These types of innovations are important because they formed the foundations of online, interactive computerized searching. In 1968, SUNY began to offer online searching of MEDLARS data. Using special terminals, the SUNY network allowed users to search for citation data in real time. Davis McCarn, an NLM staff member who contributed to AIM-TWX, MEDLINE, and eventually Grateful Med, studied the SUNY network and presented it to NLM as a better, more efficient, and more user-friendly option than the decentralized batch processing method employed in MEDLARS I. After demonstrating the strengths of the SUNY project, McCarn began to work on AIM-TWX, the first online search system for NLM. AIM-TWX is an abbreviation of Abridged Index Medicus – Teletypewriter Exchange System (TWX). 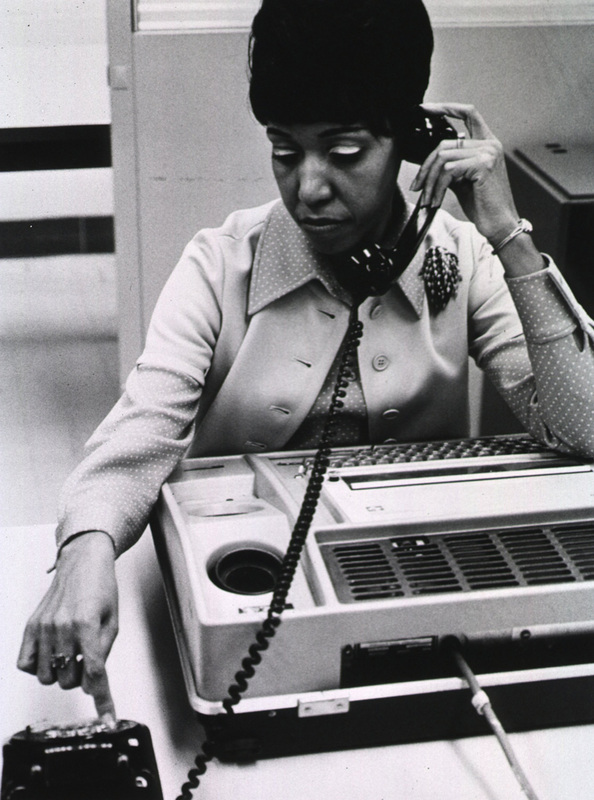 TWX terminals, rather than phone lines, were used because they had already been installed in 500 libraries as part of the interlibrary loan system. Connecting the TWX terminals to a time-sharing computer at the Systems Development Corporation now made online searching of the Abridged Index Medicus, the abbreviated version of the full MEDLARS citation database, possible. AIM-TWX also allowed up to thirty users to search at the same time, increasing overall access to the database. The full one million citations in MEDLARS were too much for the remote access system to handle. In 1971, the full MEDLARS database became available as MEDLINE, and its success was notable. User satisfaction with online search was so compelling that Director Cummings had MEDLARS II redesigned to follow the example of the SUNY Biomedical Communications Network and AIM-TWX. MEDLINE went online in 1971 and fully replaced MEDLARS I in 1975. While the initial version of MEDLINE only facilitated access to one database, NLM staff members worked to increase access to other databases over time. While continually adding new databases to the service proved to be a challenge, with MEDLINE, NLM was able to change how they provided access in a revolutionary way. Instantaneous search was a huge step forward for NLM and biomedical research, and marked the advent of a new era at NLM. Now, instead of taking weeks, a search could take minutes. Yet, NLM did not stop growing, changing, and inventing, and the creation of new technologies was just around the corner. Grateful Med would facilitate access to MEDLINE in new, user-friendly ways, and its creation will be featured in depth in a post next month. This blog post is second in a series on the history of computing and software development at the National Library of Medicine. Tune in next month and learn more about the early mainframe search interface Grateful Med. On May 5, 2016, the 2015-2016 Washington, D.C. cohort of National Digital Stewardship Residents will present a symposium entitled “Digital Frenemies: Closing the Gap in Born-Digital and Made-Digital Curation” at the National Library of Medicine (NLM). The symposium shall assemble speakers from cultural heritage and academic institutions to address the relationship between digitized and born-digital material. 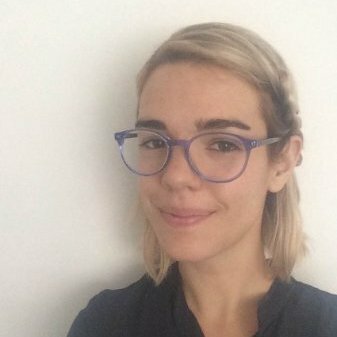 Nicole Contaxis is a National Digital Stewardship Resident at the National Library of Medicine.